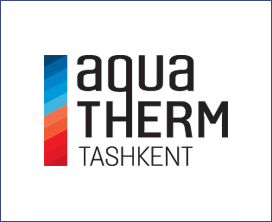 Aquatherm Tashkent is the leading trade exhibition in Uzbekistan for the heating, water supply, ventilation, air-conditioning, pools, saunas and spa. Hundreds of domestic and international industry players are visiting Aquatherm Tashkent to promote their latest products and technologies to industry specialists such as installers, dealers, engineers, architects, regional distributors and municipal buyers. Refrigeration units and their components, refrigeration equipment for medical purposes, for transportation, for food processing industry.